A French cheese made from raw (unpasteurized) sheep's milk. The sheep's milk used for the cheese is obtained from Manech or Basco-Béarnaise ewes that are raised along the Pyrenees mountain range in the Basque region of France. Produced with a natural tan to brownish rind, Ossau-Iraty cheeses have a semi-hard to firm texture with off-white to ivory-colored paste that may appear somewhat oily. Made without any air holes, the Ossau-Iraty cheeses provide a rich, buttery, somewhat nutty flavor that becomes lightly fruity in taste if the cheese is allowed to breathe before being eaten. Three different sizes of this cheese are produced: the petite size at 3 to 4 pounds, the intermediate or "fermier" (farm-made) size at about 8 pounds, and the largest size referred to as "non fermier" (not farm-made) at about 10 to 12 pounds. This cheese may also be labeled "Baigura Fermier Cheese" if produced adjacent to the Baigura Mountains; Brebis des Pyrenees, meaning a sheep's (ewe's) milk cheese of the Pyrenees mountain region; or Ossau-Iraty Brebis Pyrenees, an A.O.C designation for sheep's milk cheeses produced in A.O.C. designated areas adjacent to the Ossau river, the Iraty river, several towns named Iraty, and the region of Béarn, all located in Basque region of the western Pyrenees. Many of the cheeses, which are all made from the same recipe and look very similar, are named for the city or region where they are produced. Ossau-Iraty cheese goes well with fruits, such as apples or pears; cured meats, such as dry sausages and prosciutto; and fresh vegetables and olives. Robust red wines, such as Bordeaux or Rhône, are good choices to serve with this type of cheese. Pave de Chirac is a farmhouse goat's milk cheese from the Chirac region in central France where many of the best goat cheeses are produced. 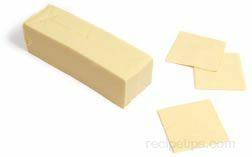 This soft-textured cheese comes in rectangular blocks that are ivory white in color. As a fresh cheese, it is has a mild flavor with a creaminess that makes it ideal for spreading on hard breads, crackers, and various types of appetizers. Considered to be a farmhouse cheese, this variety is produced in the Normandy region of France from unpasteurized or pasteurized cow's milk. The cheese is white to golden in color and is covered with washed rind that is soft and irregular. Pont-l'Evêque emits a somewhat moldy or barn-like aroma that is more pleasant than it may seem; however, if the cheese is allowed to ripen too long, the odor becomes noticeably objectionable and the outer rind may become slimy. Produced in small rectangular blocks, all Pont-l'Evêque cheeses are packaged in thin wooden boxes that upon opening, should contain cheese that appears fully shaped and springy rather than sunken in texture. After cutting into the cheese, the appearance of the golden-colored pâté with its small and large eyes is appealing, as is the savory flavor that is slightly sweet and spicy. Pont-l'Evêque cheese is often considered to be a good cheese to serve with beer or robust red wines. If you plan on serving fruit with the cheese, the best selections are crisp apples or pears. Processed cheese refers to a combination of one or more types of natural cheese that have been pasteurized to extend storage life. Cheese spreads and imitation or substitute cheeses are also included in the Processed Cheese categories. Processed cheeses generally contain a number of added ingredients: emulsifiers are used to increase smoothness or melting properties; dyes are often added to improve the color of the cheese; preservatives are used to the lengthen shelf life; and stabilizers, vegetable-based gums, and natural and artificial flavorings provide additional improvements to the properties of the product. Unlike natural cheeses that may have a distinct flavor or texture, processed cheeses are often smooth or spreadable, odorless, and typically mild or very bland in taste. Processed cheeses are produced in many countries around the world. One of the most common and well known types of processed cheese is referred to as "American Cheese," which originated in the United States. A spreadable processed cheese produced in France known as "Gourmandise" is quite popular. It is smooth and creamy and may be seasoned with flavorings, such as Kirsch liqueur or cherry juice, and nuts, such as bits of walnuts. The French also produce La Vache, Qui Rit, and Rambol cheeses, which are classified as Processed Cheeses. The Swiss produce a Gruyère-style cheese that is made into a block shape. Imitation or substitute processed cheeses are produced in a manner that lengthens their shelf life. By removing the butterfat and water from the cheese, imitation cheeses can be made so stable that they can last almost indefinitely on the shelf without refrigeration; however, imitation and substitute cheeses are nutritionally different than real cheese, since ingredients other than real cheese are used produce the product. Substitute cheeses, for example, are often produced with soy, which is beneficial to people that are lactose intolerant and cannot enjoy real cheese. Vegetable oils are also used in some imitation and substitute cheeses, providing the processed cheese with a look and feel of real cheese. Raclette is a semi-soft to firm cheese made from unpasteurized cow's milk. The cheese originated in France but has since become common in Switzerland, Austria, and Australia. The French version may be referred to as "Fromage a Raclette." 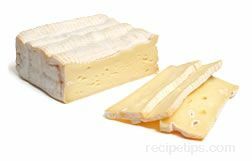 Raclette cheese typically has a smooth, firm, open texture with a pale yellow color. Although it may be very pungent smelling when opened, the cheese has a pleasant but strong flavor that is slightly tangy with mild overtones of wine. Raclette can be served cold, but it is most often used as an ingredient in a number of recipes, melting smoothly and providing a creamy rich addition to many food dishes. When heated under a hot grill or with fire, the sweet nutty flavor intensifies, and the texture becomes stringy and stretchy. Raclette is a popular cheese to melt over broiled potatoes. As a substitute, use French Morbier. A French processed cheese made from cow's milk that is combined with other ingredients that are typical of processed cheese, such as emulsifiers, stabilizers, and vegetable-based gums. Soft and spreadable, Rambol cheese has a very mild flavor. There are several varieties produced, such as a smoked version or a spicier version seasoned with black pepper. Considered to be similar to Brie cheese, Rambol is often served as an appetizer with crackers or fruits. Reblochon is a cow's milk cheese traditionally made in northern France. 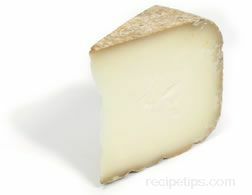 It has a creamy color, a soft to firm texture, and is surrounded by a washed rind that is thick and orange. The texture of this cheese may appear somewhat elastic as it becomes firmer. 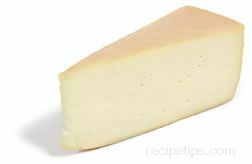 Reblochon requires proper aging in order to achieve its peak flavor and consistency. If not allowed to age properly, it will be too soft and lack a distinctive aroma. It can be served on rough breads, with crackers, or as a complement to spreads such as chutney. It melts well and has a nutty flavor when melted. Made from sheep's milk, Roquefort is a French blue cheese that has a distinctively sweet but tart to salty flavor with a semisoft and crumbly texture. The cheese is creamy white with blue veins running through it and is covered with a white rind. 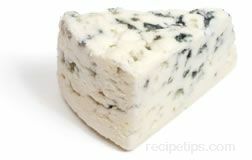 It is the most popular blue-mold cheese throughout the world and is eaten as a dessert cheese by the French, but most Americans eat it with salads or in dressings and dips. If authentic Roquefort is desired, look for a label that has a red sheep seal on it. Made as a triple cream cheese from cow's milk fortified with cream, this cheese is French in origin but is also made by cheese producers in the U.S. Triple cream cheeses contain at least 75% butterfat per 100 grams of cheese, which makes this cheese mildly rich and creamy in both taste and texture. As a fresh ripened cheese, it is limited in shelf life, so it is best to use it within a few days after it is purchased. 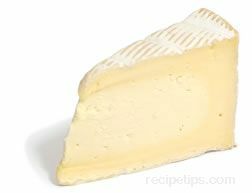 Saint-André is a good Brie-like cheese to serve with fruits, to spread on crackers, or to serve as a dessert cheese with sparkling wine such as a fruity Pinot-Noir or a Rosé. A French cheese made from pasteurized or unpasteurized goat's milk. Made as a log of cheese, the traditional Saint-Maure is produced with a blade of straw or a wooden stick placed through the cheese log, end to end. Moist and creamy, this cheese is pure white and may be covered with an ash-coated outer rind. 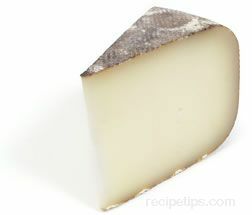 If the rind is not ash-coated, it will be light tan that becomes increasingly darker as the cheese ages. Saint-Nectaire cheese is made from either pasteurized or unpasteurized cow's milk obtained from Salers cattle that graze in the Auvergne region of central France. Common as a farmhouse-produced cheese, Saint-Nectaire is formed into small round disks with an outer rind that may we white, tan, and grey with a red or yellow mold-speckled coloring. The rind covers an inner pâte that is straw colored and has small eyes spread throughout the paste. The texture of the cheese is semi-soft and smooth. Saint-Nectaire cheese has a mild flavor with a slightly fruity overtone. With a noticable aroma that resembles the grasses on which the Salers cows graze, the earthy smell of Saint-Nectaire is not as objectionable as it may sound and is appreciated by those who savor the complexity of the flavors within this cheese. Saint-Nectaire cheese goes well as a snacking cheese with fruits, hard crusted breads, meat, and fresh vegetables. It is a good cheese to eat with hearty red wines, such as a Beaujoalis, Chianti, or Rhône. 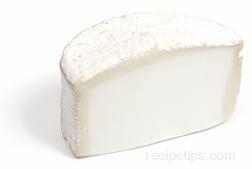 A French cheese made from unpasteurized or pasteurized goat's milk. Typically coated with ash, this cheese is formed into small disks with one flat and one rounded side. The dark black outer ash coating contrasts sharply with the pure white inner paste, which is moist and semi-firm in texture. Selles-Sur-Cher has a somewhat nutty goat flavor. This round variety of cheese comes from the Dauphine region of France. It is made from pasteurized cow's milk that is processed into soft curds, resulting in a very soft and creamy cheese. 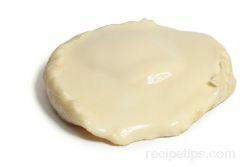 A natural tan molded rind covers the soft inner paste that is uncooked and unpressed. St. Felicien is matured for several weeks before it is released for sale. It has an earthy to sour flavor and often has a yeast-like overtone. A French term used to describe small to medium sized wheels of cheese that are produced on small farms throughout France. Also referred to as "Tome," this type of cheese is typically made with any of the cow's milk, goat's milk, or ewe's milk remaining after the larger volumes of milk have been shipped to cheese factories. The cream is removed from the leftover milk to produce butter, and the skimmed milk that remains is used to produce the Tomme cheese. This method of production, which requires smaller volumes of milk, results in a cheese that is low in fat. 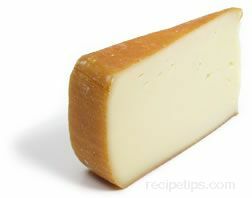 At times, a mixture of several of the three milks (cow, ewe, and goat) is used to make a Tomme cheese. The cheese is most often produced with a hard grey outer rind containing some mold spots, which covers a semi-soft and creamy cheese with a mild flavor. The cheese is sold fresh and is made to be eaten soon after it is produced. The different varieties of Tomme cheeses are named after the villages that are closest to where the cheese is produced. As an example, Tome or Tomme De Banon is from the village of Banon in Provence, France. There are numerous Tomme cheeses that are produced, which include the following: Tomme de Savoie, Tome Alpage de La Vanoise, Tomme de Lullin, Tomme de Thones, Tome de Chevre, Tomme D'Arles, Tomme De L'Aveyron, Tome de Banon, Tomme Du Bougnat, Tomme Capra, and Tomme De Montagne. 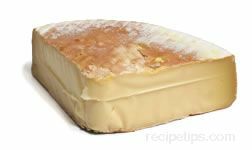 Tomme de Savoie is an unpasteurized cow's milk cheese from the Savoie region of France that is typically available during the winter months. Situated high in the mountainous areas of France adjacent to Italy, the alpine valleys around Savoie provide abundant meadows for grazing cattle and producing milk. As fall arrives, the cattle are brought down to lower elevations where they do not feed on the lush grasses that produce their rich summer milk; therefore, the cheese is made during the summer, aged for 6 months or more, and ready for distribution after winter has arrived to the French Alps. 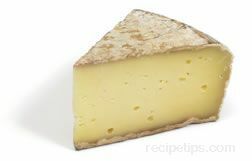 Made in wheels that are several inches thick and eight inches in diameter, Tomme De Savoie cheese develops a thick, rough rind that is grayish-tan in color. Beneath the rind is an ivory-colored, smooth-textured paste containing very small holes throughout. This mild cheese has a raw flavor with a hazelnut taste and a somewhat salty overtone. It is a good cheese for snacking or served with fruit, bread, salami, or wine. A soft-ripened cheese produced in Dauphiné and made with thermalized cow's milk. This soft cheese has a slightly stinky aroma. It is found wrapped in chestnut leaves and tied in raffia. Once opened and placed on a plate, the cheese has a tendency to spread because of its soft texture. The creaminess and flavor of this cheese make it a fun cheese to eat and serve. Vacherin Mont d'Or is a traditional cheese of France and Switzerland made from cow's milk that typically contains almost 50 percent milk fat. The French version is produced with raw unpasteurized milk and is known as "Vacherin Mont d'Or," "Le Mont d'Or," or "Vacherin du Haut-Doubs" (the A.O.C. name). When produced in Switzerland, the cheese is also referred to as "Vacherin Mont d'Or," but it is made with pasteurized milk. After aging for two to three months, the cheese forms a crust that encases a soft, creamy paste with small holes throughout. This cheese has a mild but rich nutty flavor with a distinctive aroma. Because this cheese is so soft, it is very spreadable and may be eaten with a spoon. It is not uncommon to find versions of this cheese that are not true Mont d'Or, which are made by producers in the U.S. and Europe. Cheeses such as Edel de'Cléron, Ecorcé de Sapin, Tourree de l'Aubier, and Tavaillon are all respectable cheeses that are produced to be similar to Mont d"Or cheeses with the same creamy soft texture and the similar rich flavor.